I left my Blackberry in its case on our team's bench the other night during softball. An opposing player hit a foul ball that landed right on my poor Curve. The result is a true crackberry. 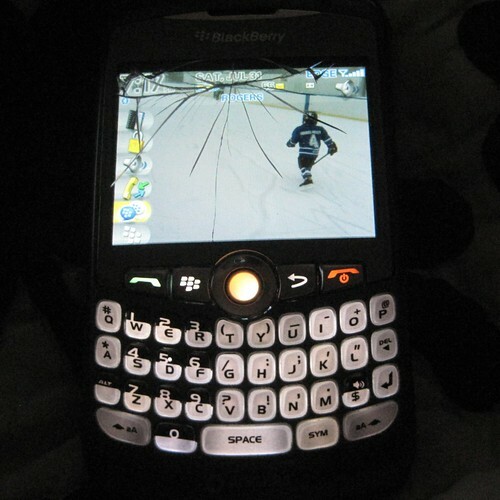 The Blackberry is still fully functional, but you'll see the glass screen has been totalled. I understand the warranty, which has long expired, doesn't cover such things. 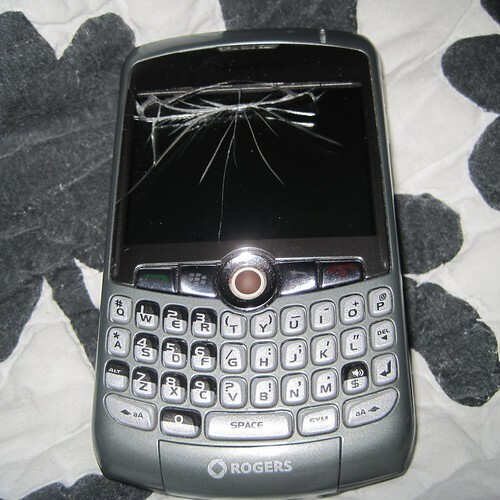 Before I drop by a Rogers store to hear what they have to say, does anyone know if they have to replace this phone or can I just get a new screen? As you know i have worked in the industry for 10 years. For the most part, fixing something like this is usually more expensive than getting a replacement, which is usually decent with a 3 year renewal. This is contingent on the fact that you are eligible for renewing and receiving heavy discounts on the device. If it is corporate owned, as i know it is, than the term to be eligible for new devices with discounts is usually between 12 and 18 months. At least that is the case with the company i work for. Check with your telecom guy at work and he'll ask his Rogers Rep about it and let you know. It's just the plastic screen cover, not the screen itself. Might be a cheaper fix than you think. Someone told me a place will replace the plastic cover for $30. The screen itself is fine. I thought the screen was broken. I still say it is tough and go. Found a place that would replace the plastic screen cover for $25.